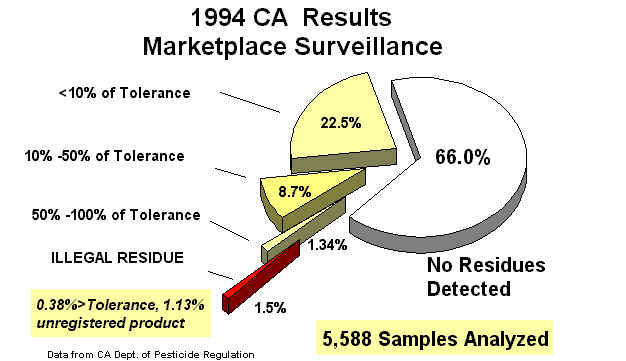 "1994 California Pesticide Residue Monitoring"
If you think that you saw something like this not so long ago, you are correct. Last fall we published a special edition with the 1993 results. 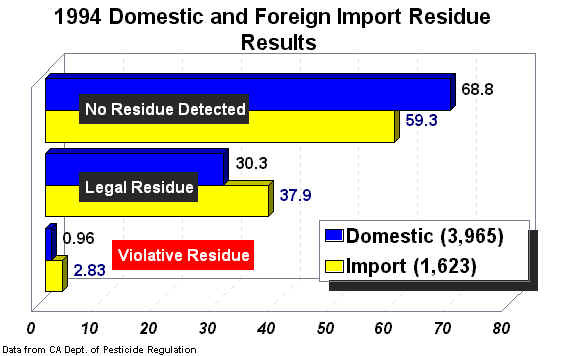 The folks at the Department of Pesticide Regulation just published these data, so here they are! 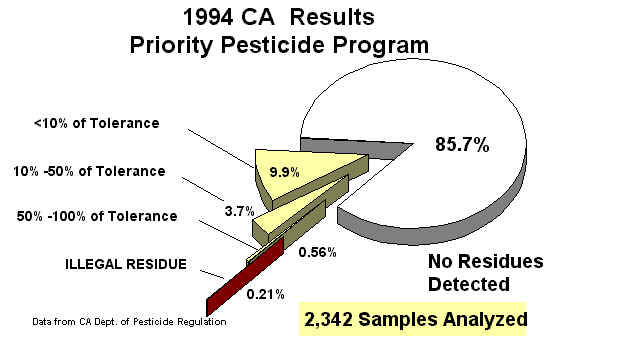 This "special edition" of the Environmental Toxicology Newsletter contains the results of the 1994 Pesticide Residue Monitoring Program carried out by the California Environmental Protection Agency, Department of Pesticide Regulation (DPR), Pesticide Enforcement Branch. 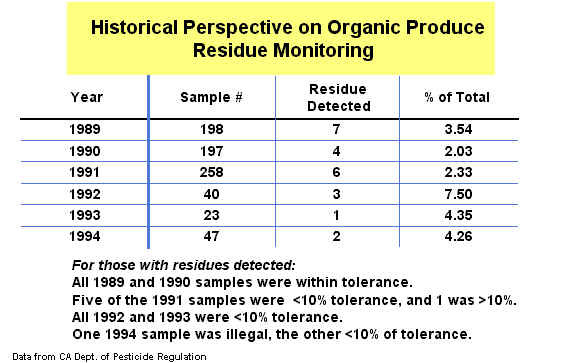 The results have changed very little over the last several years except that the percentage of samples with detectable residues has increased slightly. The increase is primarily due to increased sensitivity of the analytical methods allowing detection of lower residue levels. DPR distributed graphs with these data and we remade them to include all of the pertinent information on fewer charts. The charts may be copied and used on overheads, and color slides of these are also available to Cooperative Extension specialists and advisors through our office (and they are VERY good slides too!). The results continue to support the assertion that our California producers are using good agricultural practices and that pesticide residues are well within legal tolerances for most products. 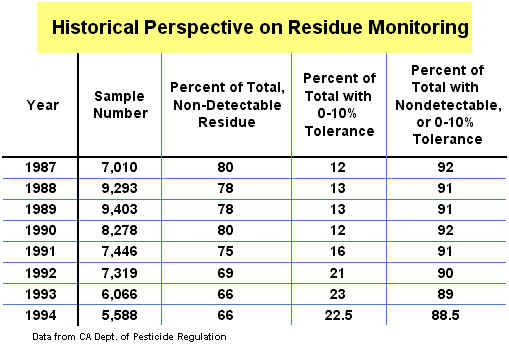 When the next FDA Total Diet Study (which measures residues in foods that have been prepared for consumption) data are available, well revisit the issue of actual intake of pesticide residues and their relation to human health. For now, enjoy your "five a day."